US equity indexes closed moderately weak, sp -2pts @ 2141. The two leaders - Trans/R2K, settled lower by -0.4% and -0.2% respectively. 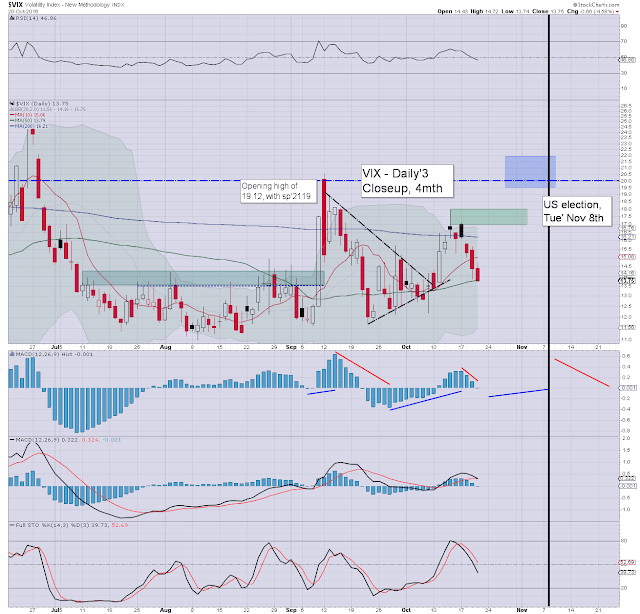 VIX settled -4.6% @ 13.75. 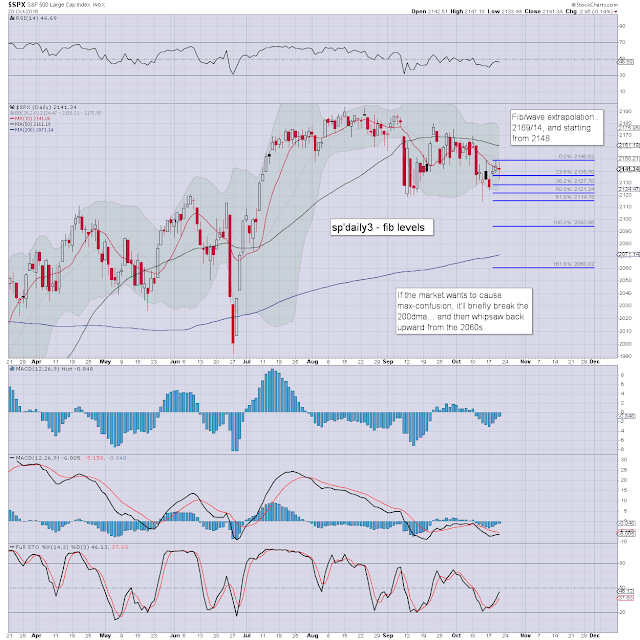 Near term outlook offers minor chop into opex, but broadly... a highly probable break to the sp'2080/70 zone. 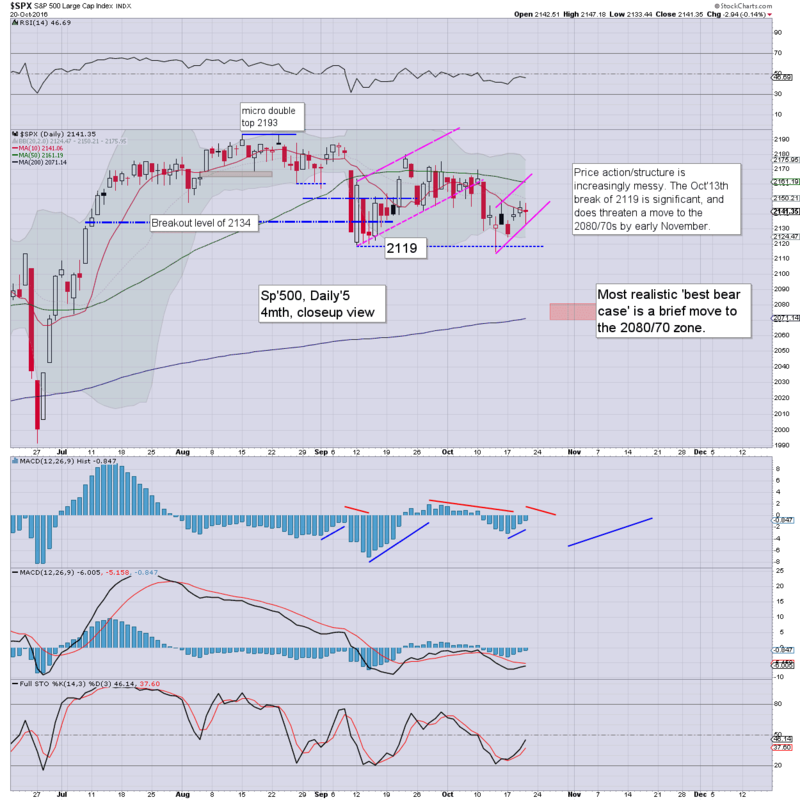 Equity bears were teased in the morning, with early weakness, testing rising support from the 2114 low. That held at 2133, and we then saw a great deal of micro chop into the close. VIX looks floored in the 13s. 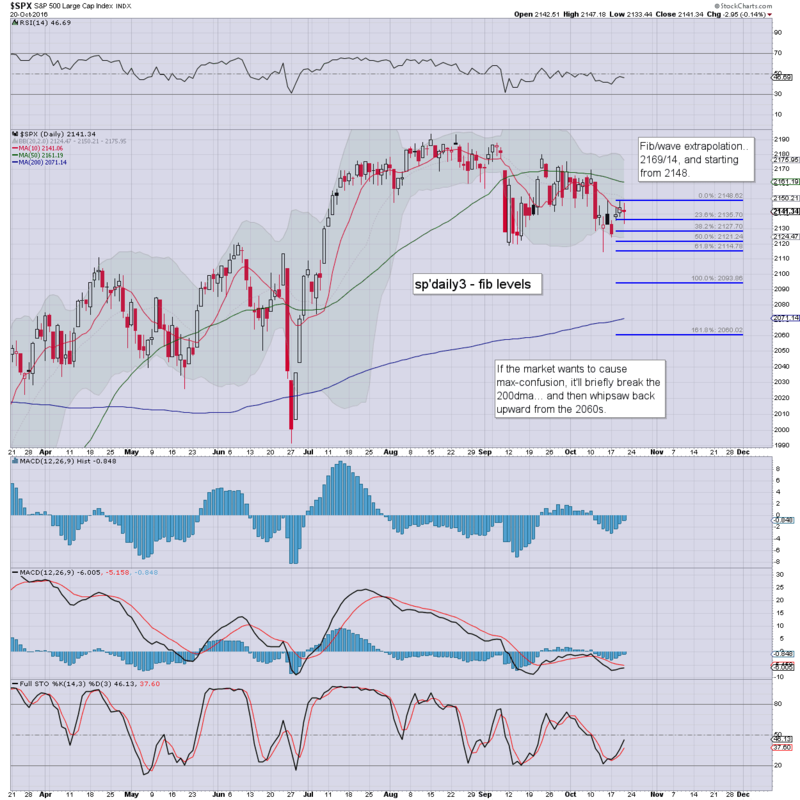 The 12s won't be easy to see, as the market will be increasingly twitchy into early November. The key 20 threshold looks increasingly probable. 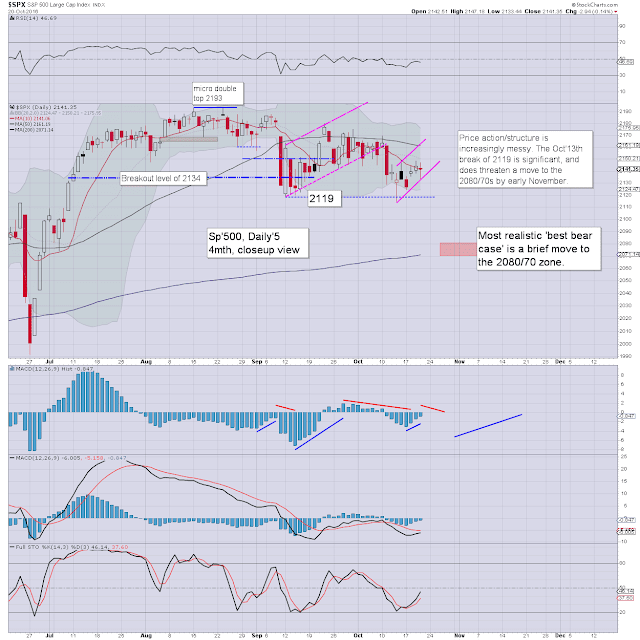 There is a clear equity bear flag - spanning the last six trading days, as seen on the daily chart. Another wave lower - ahead of the election, looks a given. The above is just a simple extrapolation of the 2169/2114 wave,starting from the Wednesday high of 2148. In theory, a test of the 200dma doesn't look that bold a target. The bigger point though, is that there will be VERY high threat of a powerful whipsaw back upward. I see a few people still looking for the sp'2300s by year end. I find that a stretch, but certainly, the mid 2200s look viable, not least if WTIC oil continues to around $60.